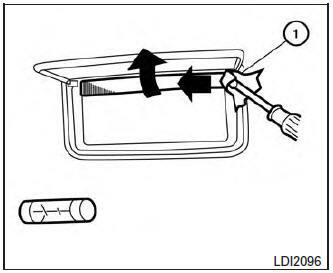 Item Wattage (W) Bulb No. * See a NISSAN dealer for replacement. 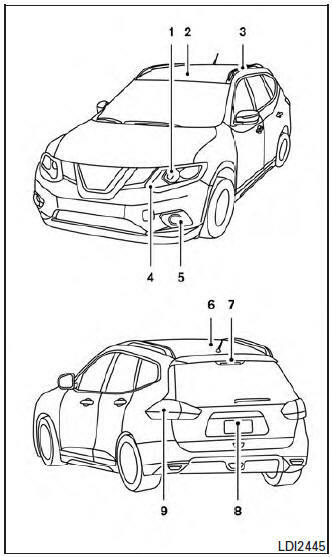 Always check with the Parts Department at a NISSAN dealer for the latest parts information. 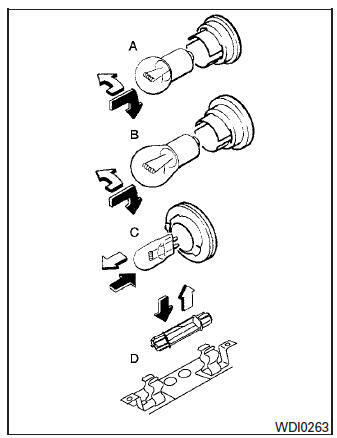 All other lights are either type A, B, C or D. When replacing a bulb, first remove the lens, lamp and/or cover. Use a cloth and a suitable tool 1 to protect the housing. Use a cloth 1 and suitable tool to protect the housing. Use a cloth 1 to protect the housing.